Since I last ran the Western States 100 in 2014, I have spent the subsequent years volunteering, spectating, and supporting runners at the race. As anybody who reads this column knows, Western States is like Christmas for me and my love for the event has only grown in the years since I finished running it. With the growth of that love, I have also been privileged to witness some amazing things at the race and each year one of those things stand out for me as the ‘moment’ of each year’s event. Which begs the obvious question: what will be this year’s moment? That was the moment of 2015. That was the moment of 2016. Finally, last year, in 2017, I found myself down at the river crossing doing volunteer race coverage for iRunFar. My main job was to cover the last five or so of the top-10 women but I also took that opportunity to really take in the ‘river scene’ for the first time. Well after all the top-10 women had come through, then-defending women’s champion Kaci Lickteig and her pacer stumbled into the aid station. Upon getting there, Kaci plunked down in the chair and told us she was dropping. Over the next 30 minutes, her pacer Miguel, her coach Jason, and I attempted to console and cajole her back on the course. Finally, the inimitable Stephanie Case came running into the aid station and sat down with us. Her crew gave her a bag of McDonald’s French fries and she asked Kaci what was wrong. A few moments later, when Stephanie stood up to leave, she said, simply, “Come run with me, Kaci!” And Kaci got up and left with her on the way to a triumphant 24:02 finish. That was the moment of 2017. As we prepare for another extraordinary year at Western States, what will be the moment of 2018? As usual, time will tell. 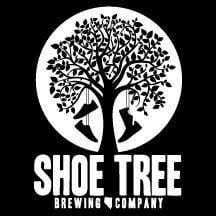 This week’s Beer of the Week come from Shoe Tree Brewing Company in Carson City, Nevada, where the world-famous Western States buckles are produced. I recently had the opportunity to enjoy a four pack of their delectable Shoe Horn (unfiltered) Double IPA and it was simply extraordinary. Almost an East Coast/West Coast blend, Shoe Horn is fantastically balanced and eminently drinkable. What were your most memorable moments of the Western States 100 in 2016, 2017, and 2018? And what about going into deeper WS 100 history? What other stories stand out for you? I got goosebumps while reading each of these. 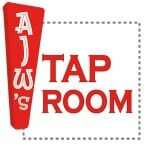 Thanks for reminding us AJW! I think Walmsley getting swept down the American River at mile 78 was the defining moment of 2016. Although I was not there, watching the videos afterwards it looked like he might not actually make it out alive. I have no idea what will happen tomorrow, but I hope that everyone stays safe and runs to win!